Wow, it has been a crazy journey leading up to the biggest performance of my life and I feel very accomplished and have learned so much. All of my hard work paid off and overall my recital went very well. Of course there were some problems but in general I was very happy with it. Now that it is over I feel a mix of emotions. I am relieved, sad, content and determined. It was so strange to not spend all of yesterday practicing and planning and instead just spending time with my family who were visiting. Something that will always stick with me from this recital is the immense support I received from my Westtown community. I had to plan every aspect of this entire recital alone. But I was not really alone. People were constantly asking what they could do to help, and were beyond willing to give me a hand with absolutely anything – from managing the dance floor, to just sitting with me while I practiced my dances. I know that most students do not have my level of appreciation for classical music, and previously that concerned me when I was putting together a program. But I now realize that it doesn’t matter and that people will support me in anything that I do. I mean, I don’t really understand a lot of sports and will still go cheer on our teams no matter what. I am so blessed to be a part of such a great group of people. 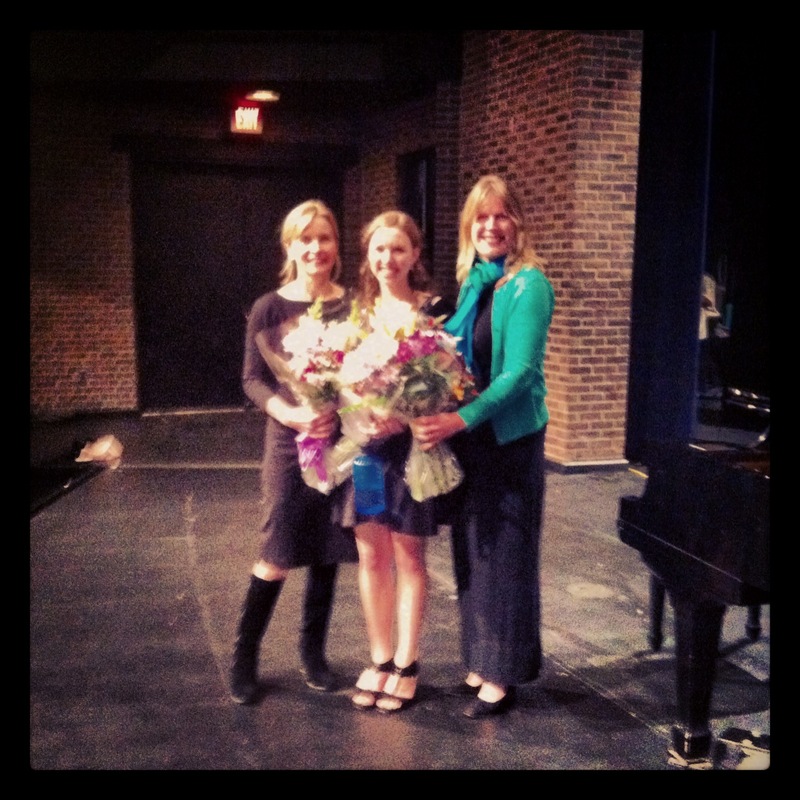 Here is a picture of Oxana Harlamova, my piano teacher, Lisa Willson, my voice teacher, and I after the performance. This entry was posted in Visual and Performing Arts and tagged Dance, independent study, music, Piano, westtown school on December 8, 2013 by ispring23.